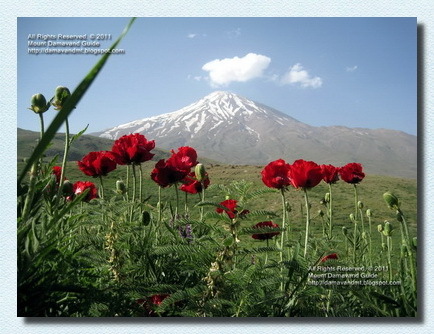 Damavand is the highest peak in Iran and Middle East and the highest volcano in Asia. Mount Damavand is 5,671 meters (18,606 feet) high, located in the middle of Alborz Mountain Range near the southern coast of the Caspian Sea about 80 km, by Haraz Road, northeast of Tehran, Iran. It is one of the most perfect cone-shape stratovolcanoes in the world, it has a narrow summit with almost permanent snowcap, surrounded by many handsome peaks of the Alborz Range, the snowy white top of Damavand with its regular clouds is the most beautiful sight of Persia. Although there is no historic eruptions recorded and some people believe it is a silent volcano, but Damavand Volcano is considered as a potentially active dormant volcano as it has fumaroles and sulfur gas coming out near the crater. The diameter of summit crater is about 150-200 meters. Alpine style trekking up to 1400 m vertical in a day. Climbs involving 1400 m+ of vertical climbing above 4000 meters. The south route is famous for its non-technical mild slopes, ascend to the peak is technically easy but physically moderate and this level demand that you should be fit enough and really in good shape, the main challenge is acclimatization and weather. There is 5 to 8 hours day-trek with big ascents and 3 to 4 hours descents. Preliminary trekking/mountaineering experience is a big advantage. Note that during some days in the tour, you may personally carry your baggage, which is naturally an additional difficulty. No rock/ice climbing experience is needed in summer. Damavand Weather changes condition even in the middle of summer and play an important role when trekking. In summer trekking, Damavand difficulty and climbing grade is similar to Mt Kilimanjaro in Tanzania and Mt Everest Base Camp in the Himalayan, but in winter condition it is a complete different story and it can be compared to a 7000 meters summit. Keep in mind that even in summer a successful climb is possible only in a good weather and correct timing. Off-season mountaineering specially in bad weather is very hard and dangerous. About Mount Damavand Iran - Damavand Tour. Useful Information about Mount Damavand Iran. about damavand, about mount damavand iran, trekking info damavand iran, about hiking damawand, info damawand, damavand information, ski info mt damavand, climbing info damavand mountain. Useful links Damavand Info, Damavand Guides. Timing for Mount Damavand hiking trekking tours 2015. Climbing expedition tour Damawand 5671m. Iran challenging climbing tours. Elborz and Zagross Mountains hike, trek tours. Outing trip, hike, travel, expedition walk and trek tour Iran mountain zone. Package holiday tour for Persia cultural and historical tourism industry. Leading Iran outdoor tour organizer and tour operator. Demavand mountain expedition tour. Tour 2015 trekking and climbing Mt Damavand 5671m Iran. Tailor made tour for hiking and mountaineering. Excellent services and qualified mountain guides to support incoming tours. Silk road, desert ecosystem, desert safari tours. Damawand hiking, adventure climbing, ski Mountaineering, snowboard tours. Ecosystem tours flora, fauna, and natural attractions of Iran. Welcome to join us for the best ski and Iran climbing tours. Iran climbing tour organizer. Mountain climbing and eco tour guide. Winter guided tour climbing tour organizer in fully tailor made categories. Tournée 2015 de trekking et ascension du mont Damavand 5671m Iran. Tailor made tournée pour la randonnée et l'alpinisme. D'excellents services et des guides de montagne qualifiés pour appuyer des visites entrantes. Route de la Soie, l'écosystème du désert, le désert safari. Randonnée Damawand, escalade aventure, ski alpinisme, des visites de snowboard. Visites écosystème de la flore, la faune, et les attractions naturelles de l'Iran. Bienvenue à nous rejoindre pour le meilleur de ski et des excursions d'escalade en Iran. Organisateur de l'Iran Tour d'escalade. Alpinisme et éco guide. Hiver Visite guidée d'escalade organisateur de tournée en collant parfaitement catégories faite. Tour 2015 Trekking und Klettern Mt. Damavand 5671m Iran. Maßgeschneiderte Tour zum Wandern und Bergsteigen. Hervorragende Leistungen und qualifizierte Bergführer, um eingehende Touren zu unterstützen. Seidenstraße, Ökosystem der Wüste, Wüste Safari-Touren. Damawand Wandern, Abenteuer Klettern, Skitouren, Snowboard-Touren. 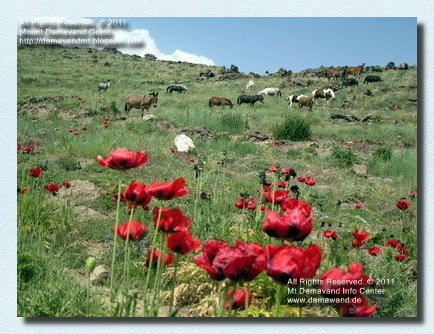 Ecosystem Touren Flora, Fauna und natürlichen Sehenswürdigkeiten des Iran. Willkommen bei uns für den besten Ski-und Klettertouren Iran anzuschließen. Iran Klettern Reiseveranstalter. Bergsteigen und Öko Reiseleiter. Winter-Führung Klettertour Veranstalter in vollem Umfang maßgeschneiderte Kategorien. Tour 2015 di trekking e arrampicata Monte Damavand 5671m Iran. Su misura giro per l'escursionismo e l'alpinismo. Eccellenti servizi e guide alpine qualificato per supportare tour in arrivo. Silk Road, l'ecosistema del deserto, deserto safari. Damawand escursionismo, arrampicata avventura, sci alpinismo, escursioni snowboard. Tour ecosistema flora, fauna, e attrazioni naturali. Best Starting point: Camp1 Polour. Best Climb/Ski Side: South Route. Best Climbing Time: mid June To mid September. Best Ski/Snowboard Time: December to mid May. Most Updated Weblog: Mount Damavand Guide. 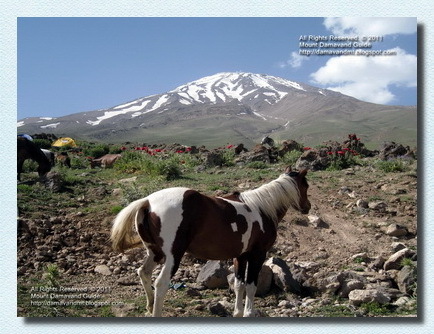 Most Informative Website: Damavand Info. Volcanic Status: Potentially active (Dormant with fumaroles at the summit). Rank: Highest peak in Iran, Highest volcano in Asia. Second highest volcano in the norther hemisphere. 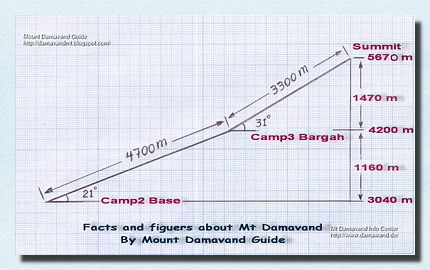 Damavand has 4 main Climbing Routes, the popular side is the south face, most people prefer to summit from this route, it is the best and most recommended side for the newcomers and beginners, due to its easy accessibility from the mega city Tehran, ascent to the peak is also shorter and easier. Difficulty: Moderate walk-up, easy descend. As far as the Natural and cultural environment of your country and area of destination, there is some difference than what you are used to at home and some times big surprises with amusing differences form what you're used to at home and the usual natural cultural environment, but no big surprises in relation to Anglo/Saxon way of life. Benvenuti ad unirsi a noi per il miglior tour di sci e alpinismo Iran. Iran arrampicata visita dell'organizzatore. Alpinismo ed eco guida turistica. Inverno visita guidata arrampicata organizzatore tour in categorie rese pienamente sarto. Tour 2015 trekking og klatring Mt Damavand 5671m Iran. Skreddersydde tur for fotturer og fjellklatring. Gode ​​tjenester og kvalifiserte fjellførere å støtte innkommende turer. Silk road, ørken økosystem, ørken safari turer. Damawand fotturer, eventyr klatring, ski Klatring, snowboard turer. Økosystem turer flora, fauna og naturlige attraksjonene i Iran. Velkommen til bli med oss ​​for de beste ski og Iran klatreturer. Iran klatring tur arrangør. Fjellklatring og øko turguide. Winter omvisning klatring tur arrangør i fullt skreddersydd kateg orier. Тур 2015 походы и восхождения Damavand 5671m Ирана. Портной сделал тур для пешего туризма и альпинизма. Отличные услуги и квалифицированных горных гидов для поддержки входящих туров. Шелковый путь, пустынные экосистемы, сафари по пустыне туры. Damawand походы, приключения альпинизм, горнолыжный спорт, сноуборд туры. Экосистема туры флоры, фауны и природных достопримечательностей Ирана. Добро пожаловать к нам на лучших горнолыжных и Иран восхождений. Иран восхождение организатор тура. Альпинизм и эко гида. Зимние экскурсии восхождение организатор тура в полностью индивидуальные категорий. Tour 2015 trekking y escalar el Monte Damavand Irán 5671m. Viaje a la Medida para el senderismo y el montañismo. Excelentes servicios y guías titulados de montaña para apoyar visitas entrantes. Ruta de la seda, el ecosistema del desierto, el desierto viajes de safari. Damawand senderismo, la escalada de aventura, esquí de montaña, tours de snowboard. Tours flora del ecosistema, la fauna y atractivos naturales de Irán. Bienvenido a unirse a nosotros para el mejor esquí y excursiones de escalada Irán. Irán subiendo organizador del viaje. Alpinismo y guía de turismo ecológico. Invierno visita guiada escalada organizador de viajes en las categorías de hechos totalmente a medida. All Rights Reserved.© Damavand Tour. All the material on this site is protected by copyright .